Every good Inchoo story begins with Inchooers going on a yet another adventure. After the much talked about Developers Paradise conference that we organised, it was time to gather all the Inchooers at one place, far away from the office, on a neutral field for another adventurous episode of Inchoo Learning Day. As this was the eighth ILD, it wasn’t an easy job to fill the shoes of previous well-organised events. This time around, the idea was to visit the places we haven’t been able to visit before. Also, we wanted to enjoy the “back to the roots” experience. Therefore, as a first stop of the fulfilling outing, we visited Ernestinovo, a cozy little town located in Osječko-baranjska county. 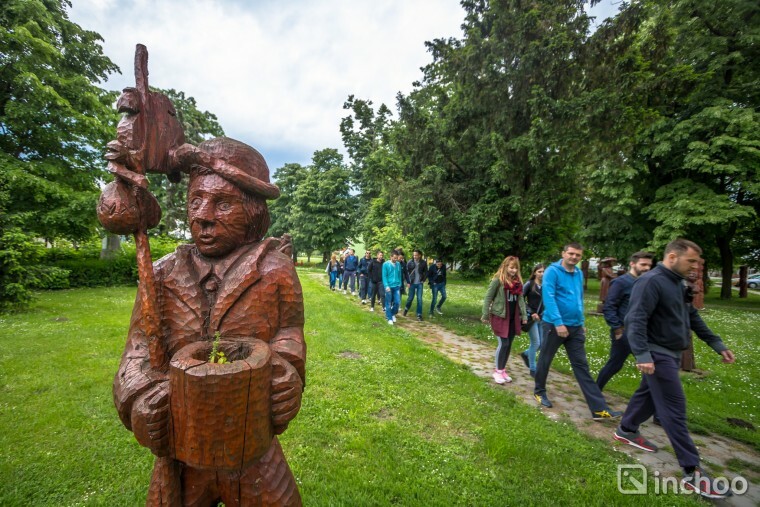 Well, Ernestinovo, although a small place with only 2200 inhabitants, is well-known for the international Sculptural Colony which is being organised every year in August and for its gallery full of wooden sculptures of naive art whose first initiator was Petar Smajić. Also, throughout Ernestinovo, various wooden sculptures are placed around the houses, park, church and school and they are all made by local people. We kicked off the ILD with breakfast and coffee served in front of the gallery. After we filled our bellies with delicious food we began with the lectures – the learning part of the program. 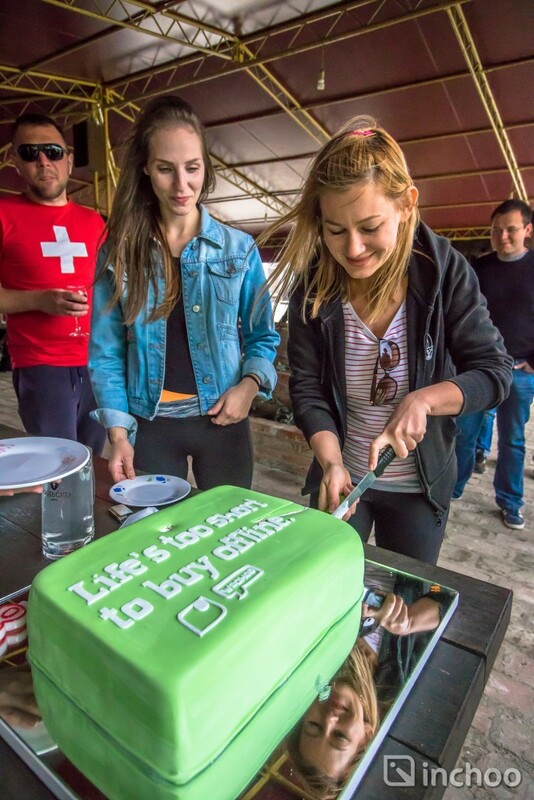 Tomislav introduced his hometown and talked about Inchoo, his recent trip to Budapest and an awesome gift he received from CEO’s of Atwix and Interactiv4 for Inchoo’s 8th birthday. Nandino Lončar took the opportunity to give us a short review of Developers Paradise conference, while Ivan Weiler and Hrvoje Jurišić talked about Magento 2 and what should be the next steps in the development. Later on, we explored the gallery and heard amazing story about its history of sculptures and how today’s children have an opportunity to create wooden sculptures in the school. In Ernestinovo, people are very proud of the heritage they posses and are keen on to carrying it on to their children. The next part of the program was planned as more playful and relaxed, something we all looked forward to explore. We went to Tordinci to visit and enjoy nature at a traditional farm called Acin Salaš. There were plenty of different activities from tennis and volleyball to horseback riding. Some Inchooers practiced football for the upcoming match at a local competition, while others enjoyed less energy-consuming activities such as resting in the nature or playing board games. After the dessert, we enjoyed Acin Salaš a little bit more and had the last chat before going home. It really was a great day, very relaxing and fun. We explored lots of activities and realised that we are in a terrible physical form, so we need more days like these in our busy calendar. We tried to avoid talking about work, but we didn’t succeed. 😀 We have heard and learned a lot of new things but moreover we spent time with each other and it was just what needed.